The Winifred dress is the perfect everyday dress. Easy to sew and comfortable to wear this dress is designed for the beginner sewer. Featuring front tuck darts that are designed to flatter the waistline as well as create a lovely flowing skirt. An elastic waistline on the back of the dress hug the curves as well eliminating the need for any closures, making it easy to just throw on the dress and get on with your day. Finishing off the Winifred dress is a cute belt design feature on the back of the dress. Available in short kimono sleeves or longer 3/4 sleeves. 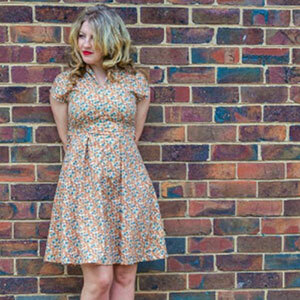 Perfect for a range of fabrics and seasons, The Winifred dress will become your go to dress! 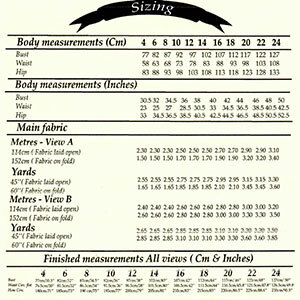 Suggested fabrics are light to medium weight wovens such as crepe de chine, rayon challis, peach skin or lawn. For a different look and feel try a stable knit such as ponte de roma or cotton lycra.